It goes without saying that divorces are difficult for everyone who’s involved, and there may continue to be difficulties related to your divorce well after it has been finalized. In southern California, the Bayati Law Group is dedicated to helping our divorce clients effectively deal with their post-divorce legal difficulties. For example, subsequent to a divorce in California, many ex-spouses will be obligated to satisfy orders of the court regarding matters that may include child support, child custody and visitation, and spousal support (alimony). Immediately or even years after parents have divorced, one parent may want or need to relocate to another city, state, or even another country because of changing circumstances, including a new job or relationship. After a divorce in California, when one parent wants to relocate to another jurisdiction, the court must determine how the move to a new location will impact both parents’ child custody rights, their child visitation rights, and the child’s own best long-term interests. 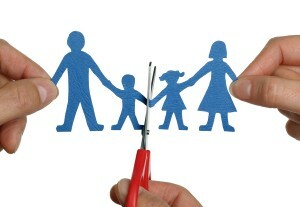 Child custody laws in California can be exceedingly complicated and challenging. A “move-away case” occurs when a parent with joint custody or sole custody of a child chooses a relocation that is far enough away to alter the current custodial arrangement. Unless the other parent has no issues with the situation, a legal dispute could erupt. If a legal dispute does emerge because one or the other parent seeks a relocation, you’ll need to speak with an experienced California family law attorney. In southern California, the Bayati Law Group can help protect your rights. The custodial parent can not pick up and move; he or she is required to provide notice so the courts can address the issue. In California, if you need or desire to relocate for career reasons or any other reason, it probably means that your court-ordered divorce arrangements will need to be modified, and you’ll have to obtain permission from the court to move to a new area. Whether the move is across town or across the country, if a relocation impacts the current child custody arrangement, the parents will need new custody and visitation orders. An experienced California family law attorney at the Bayati Law Group can help. When parents separate or divorce in California, a court orders custody and visitation arrangements that presumably are based on the best interests of the child. If you are a divorced parent involved in a custody dispute over a move-away – or if you anticipate an upcoming dispute regarding a relocation – take your concerns at once to an experienced Orange County family relocation attorney with the Bayati Law Group. It is quite possible that the court could deny a move-away request and enforce the current custody and visitation agreements without making any modifications. Obtaining approval for a modification that involves a move can often be quite difficult, and your presentation to the court can make all the difference. In the state of California, when a custodial parent wants to move with a child, a motion for a new custody order must first be filed with the court. The moving parent may request permission to move with the child, or the other parent may ask file a request for a change of custody so that the child can stay. If the move is career-related, the court will be sympathetic, but if the moving parent has physical custody of the child, and the other parent opposes the move, a move-away request can be denied regardless of whether or not it affects the parent’s work. However, before a California judge will hear either side in a dispute regarding a parental relocation, the ex-spouses must take the time to try to reach an agreement on their own. The Bayati Law Group frequently assists with the negotiations for our clients in these cases. If the parents cannot reach an agreement out of court, a hearing will be scheduled and the court will issue new custody orders. The court needs tangible reasons to deny a move-away request or to change child custody arrangements. While a California court cannot prevent mothers and fathers from relocating, it can decide where a child will live and what the visitation arrangements will be for each adult. If the other parent is considering a move, an experienced family relocation lawyer with the Bayati Law group can often find a way to help you continue to see your child. If the parents have joint custody, they come to the court on an even basis, and the court will issue a new custody decision based on the child’s best interests. However, if one parent has been awarded sole custody, in California that parent legally has a “presumptive right” to move with the child. Before a court will modify a custody order in such cases, the noncustodial parent must show the court that the move would be detrimental to the child’s best long-term interests. Child custody disputes and child visitation disputes are often tense and are almost always difficult and emotionally exhausting. That’s only natural, because your child’s well-being is your most important priority, and no one wants to be responsible for the division of a child and a parent. If you need to relocate to another legal jurisdiction for any reason, or if your child’s other parent is planning a relocation, let an experienced Orange County family law attorney who is familiar with the move-away request process advocate on your behalf. At the Bayati Law Group, divorce, family law and child-related disputes are our exclusive practices. Our clients and their children are our top concern, which is why we counsel each client to discuss available legal options and help them make the right decision. We are the trusted, seasoned legal advocates trusted by parents and families in Orange County and throughout southern California. Our legal team is headed by attorney Brian A. Bayati, who’s been named three times in the last six years as one of Orange County’s top divorce attorneys by OC Metro Magazine. Nothing is more important than your children and your relationship with them. Whether you need immediate legal representation from an experienced Orange County family law attorney, or if you simply need legal advice and guidance for the future, a family lawyer with the Bayati Law Group is available to discuss your various legal options and to help you make the right decisions for yourself and your children. Our lawyers value the attorney-client relationship. Every Bayati Law Group client and prospective client is treated with complete respect and is extended every possible professional courtesy. It is our policy to return every client phone call and email promptly to ensure clients receive the services they need. Please schedule a consultation appointment in our office right now to consult with an experienced Orange County family law attorney at the Bayati Law Group regarding a relocation request or any other matter of family law by calling (949) 798-5700 or by completing the form on the contact page on this site. You can also view a map and driving directions to our law offices on this page. The Bayati Law Group represents clients in all matters pertaining to family law in Orange County and throughout southern California, so we have the experience you need to achieve the best possible outcome for your case.